Have you ever wondered “What outdoor activities can I partake in while visiting Tampa, FL?” The west coast of Florida is a paradise for outdoor activities. One of the best ways to experience Tampa, FL is on a fishing charter. Bring your whole family or your friends along for a fishing adventure of a lifetime. Enjoy this February Tampa Fishing Report before deciding your next outdoor experience. Tampa, FL is one of the largest cities on the west coast. It truly is a breathtaking destination with access to some excellent inshore, offshore, or bass fishing experiences. Whether you like freshwater or saltwater, Tampa has it all. Take a break from the Busch Gardens and the roller coasters and hop on board with one of our local experts. One of the best ways to experience the Gulf of Mexico is a Tampa Inshore Fishing Charter. Our local experts spend numerous hours and days making sure that when you embark on your journey, you catch the species of your dreams. Captain Nick Halenkemp is one of our experts in the Tampa Bay area. 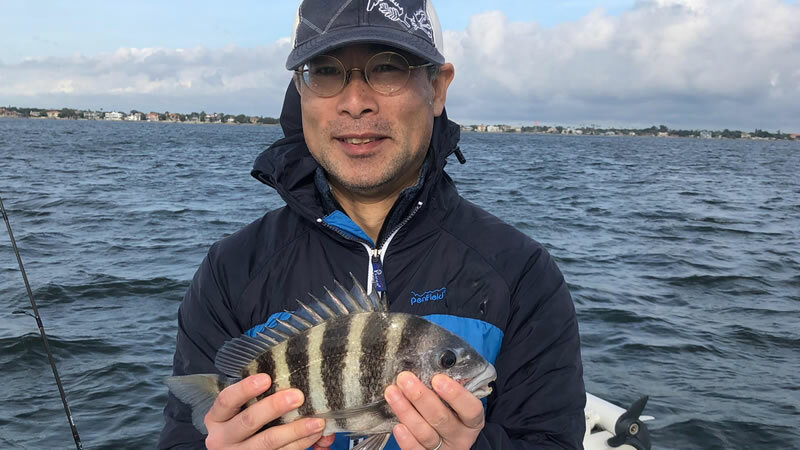 Captain Nick adventured out on the water recently and had the pleasure of fishing with Mr. Tsutsumi and his son. These travelers were coming from Indiana looking for a unique experience near Tampa. Inshore fishing was a fantastic option for this father-son duo. 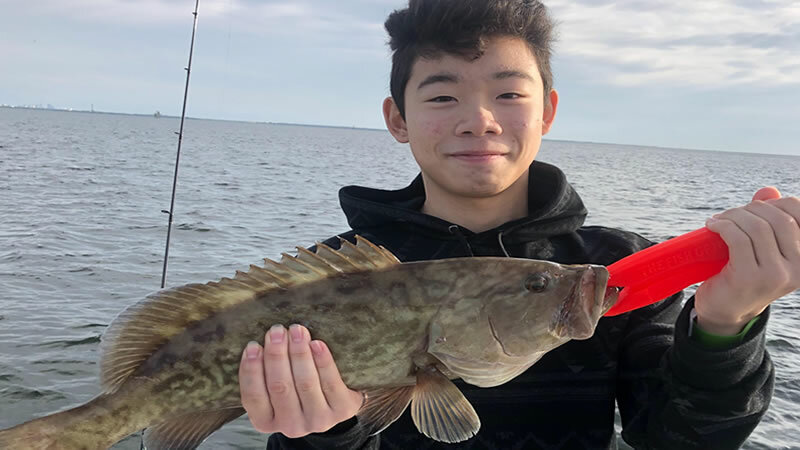 The fishing conditions were tougher than normal because of weather variations but Captain Nick made it happen for them. When it comes to Tampa Bay inshore fishing, bottom fishing is the most effective method. Our local experts use live shrimp but you can also use dead shrimp. Rig the shrimp on a jig head or on a knocker rig. 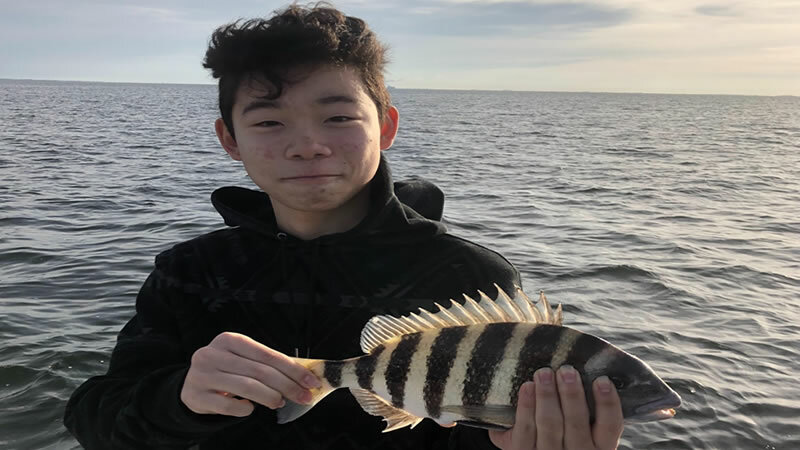 Mr. Tsutsumi and his son caught several quality fish including a Sheepshead and Gag Grouper. It was a quick 6-hour fishing charter and this family had a fantastic time on the water. Most of the fishing is focused on local reefs and wrecks inside Tampa Bay. Captain Nick is looking forward to getting back on the water with this family in the near future! The best times to come explore the waters of Tampa are coming up. Don’t miss out on your inshore fishing experience on the west coast of Florida. The best time to come fish is the end of February throughout March for inshore fishing species including Redfish, Snook, Trout, Ladyfish and much more. If you are looking to come catch Cobia or Tarpon, explore the waters during our warm summer months. Tampa, FL has a wide variety of outdoor activities that you can embark on. If you are looking for larger fish, hop on board one of our Tampa Offshore Fishing Charters. Offshore fishing is much different than inshore especially in the Gulf of Mexico. Shallow and warm waters provoke long drives offshore to deep sea waters. One of the benefits of going far offshore is that you can find some much bigger fish. Drop a chicken rig or bottom rig for Large Grouper, Snapper or Amberjack. You can also troll the waters for Mahi-Mahi, Kingfish, and much more. The best offshore fishing is best when the weather is warm but waters are cooler. Offshore fishing is a great option for those that love a long boat ride. If you are a traveler or angler that gets seasick, we have another exceptional option for you. 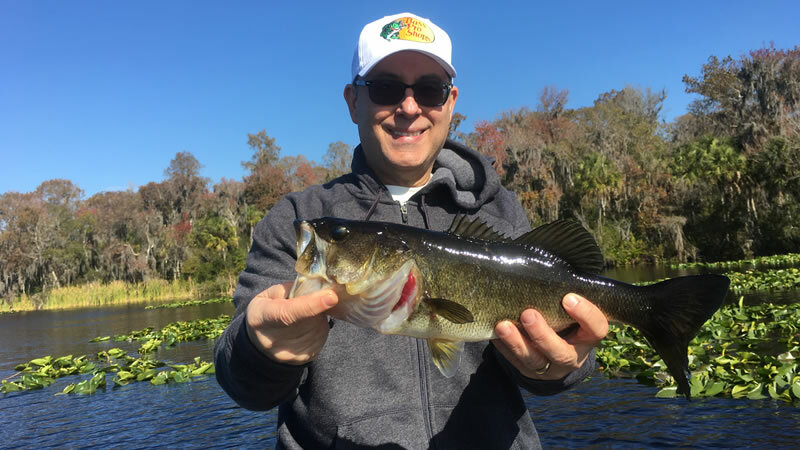 When you are visiting Tampa, FL, don’t count out Freshwater bass fishing. fish. Captain Mike Morse can help assist with all your freshwater Lake Tarpon needs! Most of the bass fishing is dominated with live bait but you can also catch bass on artificial lures including top water poppers and soft plastic worms. If you are visiting the west coast of Florida and more specifically, Tampa, make sure you experience all it has to offer. Our local experts will show you an amazing adventure worthwhile. Every trip and experience is uniquely different and you never know what will bite the end of your line. 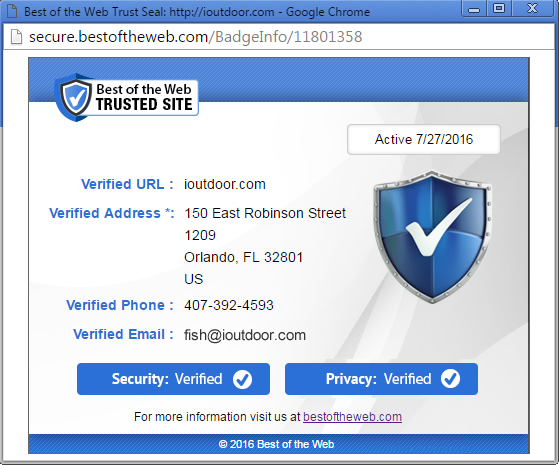 Don’t miss out on your outdoor fishing experience on your next visit to Tampa, FL. We look forward to seeing you on the water next time! Your Adventure Starts Today while Visiting Tampa, FL.